As I begin this account of my self-described “royal tour” of Scandinavia, allow me to say from the outset that if European royals or their biographies hold little or no interest to you, then you might just want to skip ahead to the “48 Hours in” section of these chronicles where I relay my findings about some of the buzziest places in each of the three destinations I visited on my recent whirlwind trek through the northernmost corner of Europe. There you’ll find swell accommodations, notable bars and restaurants, and some of the fun, not-to-be missed attractions that I consider to be the natural accoutrements of any great itinerary. However, if you are in fact, a royal-watcher like myself, then do follow along from start to finish as my travels showcase the aforementioned, as well as the glittering worlds and occasionally extraordinary histories of Scandinavia’s seemingly ever more popular royals. Before we get started, a bit of housekeeping. Why Scandinavia, you ask? Well to be honest this whole exploration was primarily inspired by several books I read about Queen Victoria. I became intrigued not only by the astoundingly good and politically savvy marriages the progeny of Queen Victoria and Prince Albert made within Europe’s royal circles, but also by how broad and lasting were the legacies of those alliances as evidenced by Scandinavia’s most notable royals, all of whom are direct descendants of that noble and fondly remembered regent. Secondarily, I was fascinated by the progressive nature and interconnectedness of the monarchies of Denmark, Norway and Sweden, all of which embody a modernity that has not only solidified their public appeal but seems certain to guarantee the longevity of these centuries old institutions in an age where some might think them superfluous. Just as my travels had taken me to Buckingham Palace and Palacio Real de Madrid, I wanted to see firsthand the seats of power of Scandinavia’s monarchs and make my own assessments. So with my brief settled and my bags packed I set off on my royal tour. My mode of travel throughout was not a royal carriage but instead Norwegian Air because it occurred me that me that if I was going to tour Scandinavia, I should probably patronize a Scandinavian airline, particularly one that has frequently been ranked among the best in Europe, nay the world. As modern and efficient as the royal dynasties on my itinerary, Norwegian Airlines and their multiple daily flights between Europe’s capital cities made the mechanics of my travel an unexpected delight (particularly given that travel anywhere can be so trying these days). 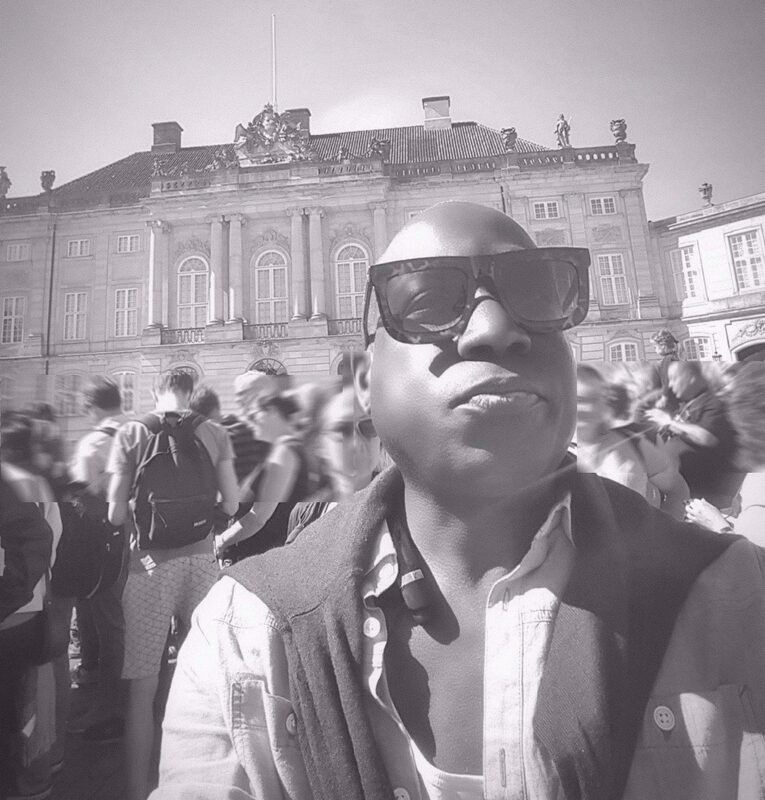 Now, that said, on to my first stop – Copenhagen. The Royal Seat. Amalienberg Palace. The Danish Monarchy can be traced back more than a thousand years, but for the purposes of this narrative, the House of Glücksborg, which acceded to the throne in 1853 is of most interest because it was this royal house that produced Christian IX who would become known as the “father-in-law” of modern European royalty. While Christian IX’s daughter Princess Alexandra married the future King Edward VII of England (son of Queen Victoria), another of his daughters, Princess Dagmar married Czar Alexander III of Russia and his son Prince Vilhelm became King of Greece. I think one might call that a trifecta wouldn’t you say? Moreover, the House of Glücksborg still reigns today, marking 150 years on the Danish throne in 2013. The current sovereign, Her Majesty Queen Margrethe, is Christian IX’s great great granddaughter and the first Danish sovereign to accede to the throne since the Act of Succession of 27 March 1953 which gave women the right of succession to the Danish throne. The Crown Prince Couple en famille. 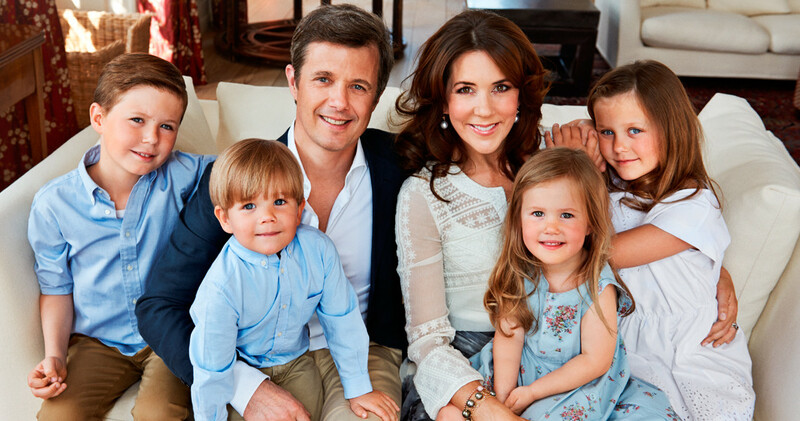 , HRH The Crown Prince Frederik André Henrik Christian and HRH Crown Princess Mary with their royal brood. When I speak of the progressive nature of the Scandinavia’s monarchies, I am largely referring to the willingness of the scions of those monarchies to break with the tradition of marrying other royals. The result has been a series of Cinderella-esque unions (including one Cinderfella-esque alliance if we are to be precise) that have captivated the world and added a patina of modernity to the notion of monarchy as a whole. Case in point, HRH The Crown Prince Frederik André Henrik Christian, Prince of Denmark, Count of Monpezat, who in 2004 married Mary Elizabeth Donaldson, the youngest daughter of a professor of applied mathematics, transforming her from a commoner to Mary Elizabeth, Her Royal Highness Crown Princess, Crown Princess of Denmark, Countess of Monpezat. (For the record, that would be approximately seven years before Prince William, Duke of Cambridge would marry his commoner Duchess, the former Kate Middleton, to much fanfare). 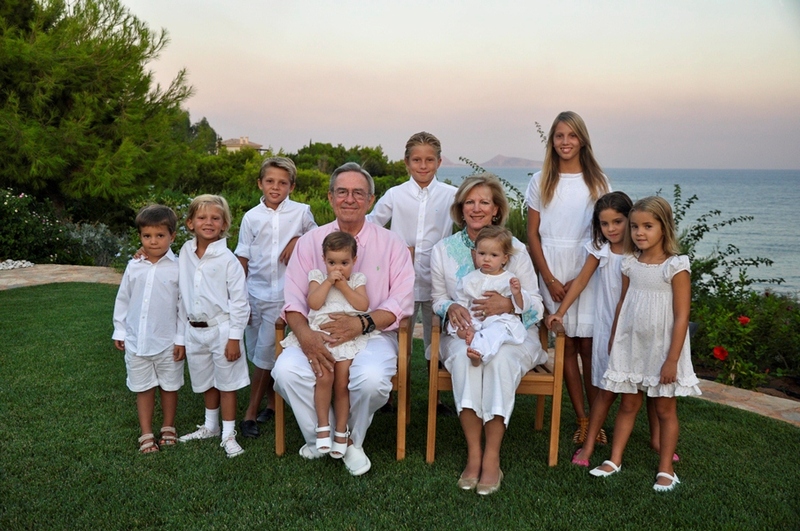 The Greek Royal Family with Her Majesty Queen Anne-Marie, one of Her Majesty Queen Margrethe II’s two sisters, and consort of King Konstsantin II of Greece. Her Majesty Queen Anne-Marie, one of Her Majesty Queen Margrethe II’s two sisters, and consort of King Konstsantin II of Greece is also the mother of HRH Crown Prince Pavlos who is married to HRH Crown Princess Marie-Chantel. Now here’s where it all gets interesting.  HRH Crown Princess Marie-Chantal is one of the famed Miller sisters, American duty-free shopping heiresses, whose lives, exalted marriages and splashy weddings dominated society pages during the 1990’s and still make copy today. While Princess Marie-Chantal’s elder sister, Pia, married oil heir, Christopher Getty, grandson of J. Paul Getty, one of the wealthiest men in the world, her younger sister, Alexandra became Her Serene Highness Princess Alexandra of Fürstenberg upon her marriage to Prince Alexander von Fürstenburg, son of fashion icon Diane von Fürstenberg and Prince Egon von Fürstenberg, great-grandson of Fiat founder Giovanni Agnelli and stepson of media billionaire Barry Diller (von Fürstenberg’s current husband for those who might not have been paying attention). In addition to managing a family of five with her husband Prince Pavlos, Princess Marie-Chantel is also the creator of the exquisite Marie Chantel line of children’s clothing, which is often seen worn by young Princess Estelle of Sweden, among other royally pampered tots. Yet another subtle connection between the royal families. Speaking of connections, it is also worthy of note that Prince William, Duke of Cambridge is godfather to Prince Constantine, the eldest son of Prince Pavlos and Princess Marie-Chantel, while Prince Pavlos’ father, King Constantine ll is one of Princes William’s godfathers in addition to being first cousin once removed to Prince Phillip, consort of Her Majesty Queen Elizabeth II and the brother to Her Majesty Queen Sofia of Spain. Now if you have to read that twice, don’t feel bad because untangling the connections of the European royals can be quite the complicated affair. Royal watching with the crowds outside Amalienberg Palace. 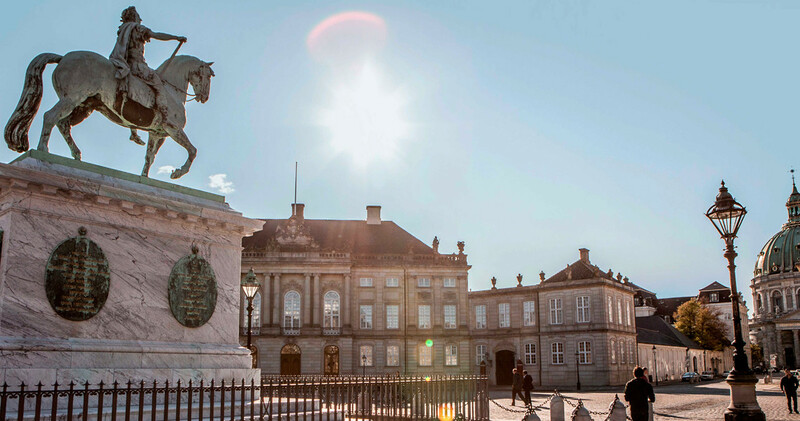 Located near the harbor and the popular Nyhavn district, Amalienborg, the Danish Royal Seat, is in actuality a complex consisting of four palaces built around an octagonal courtyard. Originally designed for four prominent noblemen, A.G. Moltke, Christian Frederik Levetzau, Joachim Brockdorf and Severin Løvenskiold, who committed themselves to building identical palaces, designed by the court architect of the day, Nicolai Eigtved, the four palaces that now make up Amalienborg became the royal residence after Christiansborg Palace burned down in 1794 and they continue to be so today. HM The Queen and HRH Prince Henrik use Christian IX’s Palace, or Schack’s Palace, as their winter residence. The Crown Prince Couple’s private residence is located in Frederik VIII’s Palace which was built during 1750-60 for Baron Joachim Brockdorff. Christian VIII’s Palace, or Levetzau’s Palace, built in the period 1750-60 for Privy Councillor Christian Frederik Levetzau is current residence for Prince Joachim, Princess Marie and Princess Benedikte. And Christian VII’s Palace which previously belonged to the Lord High Steward AG Moltke is today Her Majesty The Queen’s representative palace. 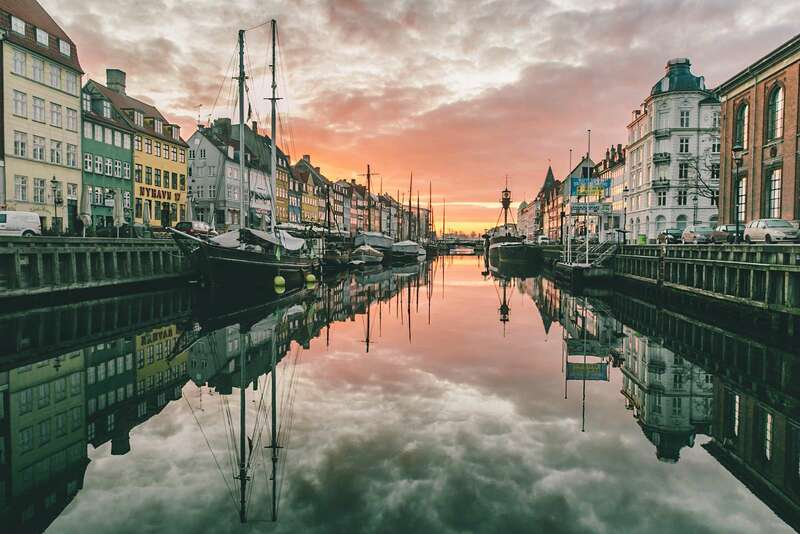 The colors of NyHavn, Copehnagen. As mentioned about, my Scandinavian adventure fittingly began with a flight out of JFK airport on Norwegian Air. In the spirt of full disclosure, I must admit to being bit of a doubting Thomas when it comes to ‘discount’ airlines which have left me sorely disappointed in the past. However, from online check-in, which, by design, takes place just two hours before departure via text message, to a seamless, if somewhat DIY, baggage check process at the airport, to the ultra-simplified classes of service (Economy or Premium only), Norwegian is the picture of modernity in air travel. Courtesy of the carrier, I tucked into a Premium Class seat on a Dreamliner 787 that would rival a traditional business class seat on any other airline, and my journey to the Land of the Midnight Sun began in earnest. 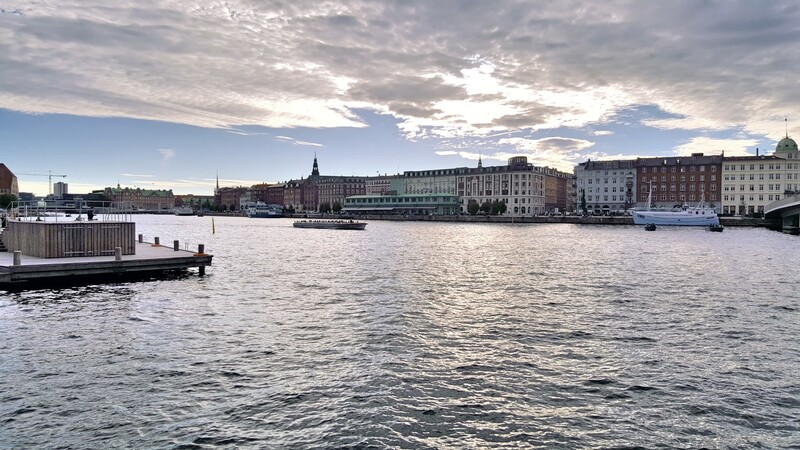 After a quick stop in Stockholm and a change of planes in Stockholm, I touched down in Copenhagen (CPH) in the late afternoon where I collected my luggage and hopped on a train conveniently located in Terminal 3 at the airport. Approximately 13 minutes later, I exited the train at the Copenhagen Central Station (København H) in the thriving heart of the city. Fortunately, the description of the distance between the station and my accommodations turned out not to be the slightest bit exaggerated and I found myself in the lobby of the Absalon Hotel checking in within less than 10 minutes, despite getting lost as I am still wont to do though I readily admit to a steadfast dependence upon Google Maps. 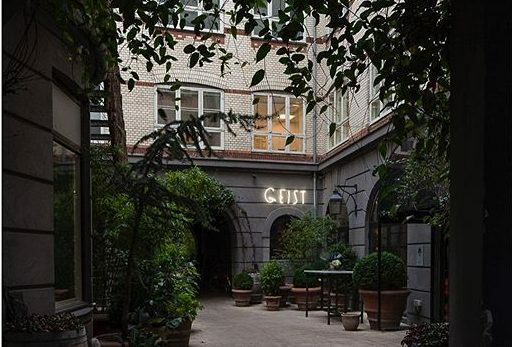 Located in the Vesterbro district, which is considered an up-and-coming area (think the Meatpacking District in Manhattan a decade ago or DTLA in Los Angeles and the Tendernob in San Francisco, today), the recently renovated Absalon Hotel is a 4-star property defined by oodles of charm, strikingly contemporary design and magnificent wallops of color throughout, all wrapped up in a lovely 19th-century building. An ocean theme room at the Absalom Hotel, Copenhagen. Conveniently located near just about every noteworthy attraction in central Copenhagen, the Absalon is ideally suited to exploring all the city has to offer. Pure luxury enthusiasts, should however be advised that, though perfectly comfortable, the Absalon is not a 5-star property. 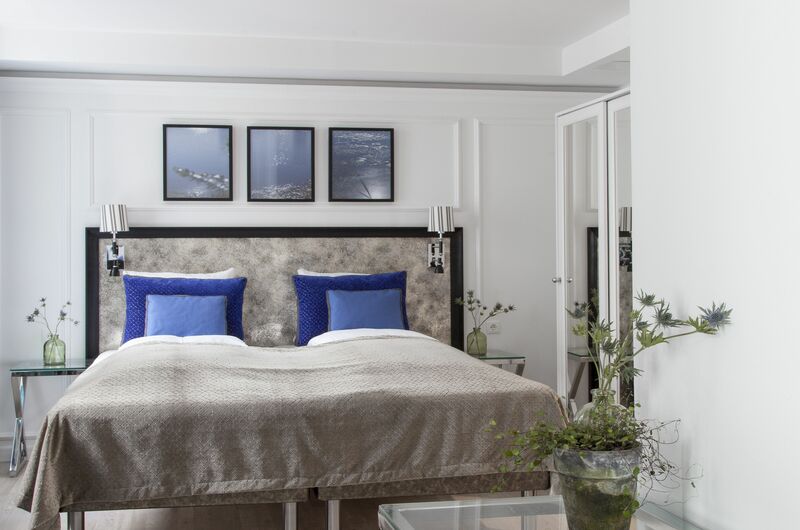 If over-the-top luxe is what you seek on your visit to Copenhagen, you can expect such at the Nimb Hotel or the Hotel d’Angleterre (at about three times the price, of course). 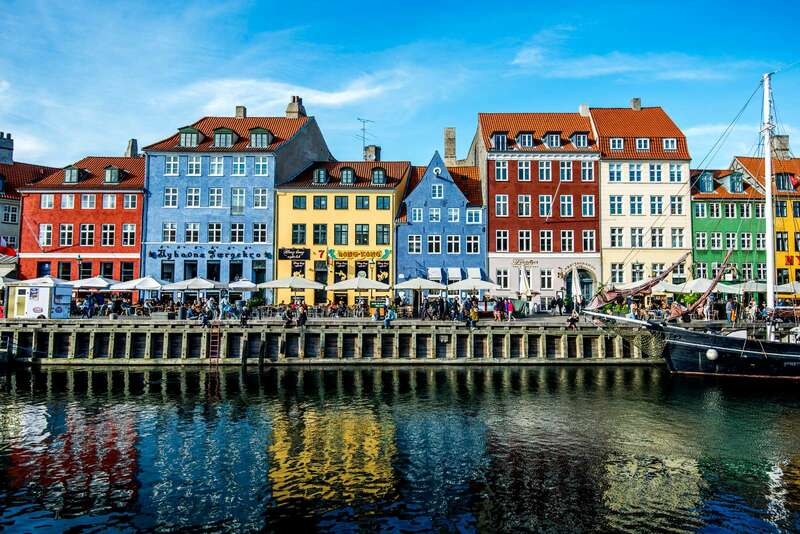 Food was high on my agenda in Copenhagen as Danish cuisine has soared to new heights thanks to the likes of chefs like René Redzepi, whose two-Michelin star restaurant, Noma, has set the culinary world alight. Sadly, Noma was closed during my stay (and I hardly think I might have gotten reservations on such short notice had it been open) but thankfully there are many more exciting eateries to explore in the city. Once settled into my cozy room overlooking the courtyard at the Absalon, I showered, changed and headed out to dinner in Copenhagen’s Meatpacking District, just a 10-minute or so walk from the hotel. Along my short walk I passed gaggles of hipster youth lolling about on benches and park-like grassy knolls as well as a bevy of restaurants with terraces filled to overflowing with locals enjoying the fine weather on that particular evening. My dining choice for my first night in Copenhagen was Fiskebaren, a Michelin Bib Gourmand awarded upscale casual “Fish Bar” (which is literally the translation of Fiskebaren) specializing in locally sourced produce, sustainable fish and shellfish and fine wine. Upon arrival, I was greeted by yards of patrons lounging at outdoor tables enjoying the last rays of the evening sun and a lively bar buzzing with activity. Since I was flying solo this trip, I chose to eat at the bar, rather than my usually preferred corner table, so that I might soak up some of the energy that lit up the place while sampling its wares. While the expert bartender/sommelier poured a flight of wines more impressive than many I have enjoyed at much fussier dining spots, I sampled oysters from Normandy (a personal long-time favorite), smoked mussels served with seaweed, pickled burnt onion and rye, poached Turbot plucked from the Western Shores of Scandinavia and a range of other menu items that celebrated seafood in every way imaginable. At the end of the meal, I was absolutely bowled over by the place and went back the next day to tell the chef just that in person. But I’m getting ahead of myself here. After dinner, I strolled around the Meatpacking District peering into the windows of closed art galleries, checking out other nearby restaurants like WarPigs, a pub specializing in beer and American BBQ that caught my eye, and scanning the Vesterbro club scene, which is alive and pumping well into the wee hours of the morning. Tempted as I was to explore longer, I had a prior date to meet a friend at Ruby (Ruby Cocktail Chronicles), a swank, elegantly appointed cocktail bar in Central Copenhagen. Reminiscent of a private, members-only club right down to its location in an unmarked townhouse dating back to 1740, once inside this chic watering hole, I found a handsome bar attended by knowledgeable mixologists, an outdoor patio and a host of warmly lit seating areas kitted out with leather wing back chairs and intimate booths perfect for schmoozing or simply enjoying a smart cocktail. Speaking of which, distinguished by a menu of first-class cocktails [Note: Try the 866, a blend of Campari, pink grapefruit juice and dill aquavit from Danish micro-distiller, Den Ny Sprit- fabric, which is served in a salt-rimmed glass and an unexpected delight], Ruby’s was the perfect nightcap to the first of my two evenings in Copenhagen, and a most excellent way to mark the launch of my weeklong sojourn in Scandinavia. The second half of my 48 hours in Copenhagen began with breakfast at the Absalon and a quick uber ride over to Amalienborg Palace (see above) where I joined swarms of other tourists to watch the changing of the guard. Buckingham Palace it is not, but this little show of sorts is full of pomp and a tremendous treat to behold in addition to being a great reason, for royal watchers like myself, to visit the royal residences of Her Majesty the Queen, The Crown Prince and The Crown Princess. The weather was especially glorious on the day I visited the palace, so I made a quick pivot and took a walk along the harbor, where I enjoyed a spectacular view of the stunning Copenhagen Opera House, which sits on the shore directly across from the Palace, and is considered to be one of the most expensive and best equipped opera houses in the world. I didn’t have the chance to step inside, but from the exterior I can certainly say the structure lived up to its hype. Next, I headed for the quays of Nyhavn, a collection of colorful and charming houses that formed the heart of a vibrant commercial port centuries ago. Today theses houses, some of which date back as far as 1681, are home to a different variety of vibrancy supplied by a host of cafés and restaurants that are among the most popular destinations in the city. Since I would be back in Nyhavn for dinner that evening, I didn’t linger long there in the afternoon, instead opting to head back over to Vesterbro and the Meatpacking District for lunch at Kul. Unlike, the other meals I would enjoy in Copenhagen, there was something particularly rustic about my lunch at Kul. Perhaps it was global influences and unique flavors apparent in the hearty menu choices which include the likes of Oysters with Jamón Ibérico Foam and Yuzu, Steak Tartare with Hoisin, Mushrooms, Crispy Chicken Skin and Horseradish, and Glazed Pork Rib with Blueberry Cream and Rhubarb/Herb Salad, among other delectable options. Perhaps it was the funky décor of the restaurant and its people watching-perfect location in Copenhagen’s hipster haven. Perhaps it was the sublimely paired wine selection and the sun at my back that accompanied my meal. 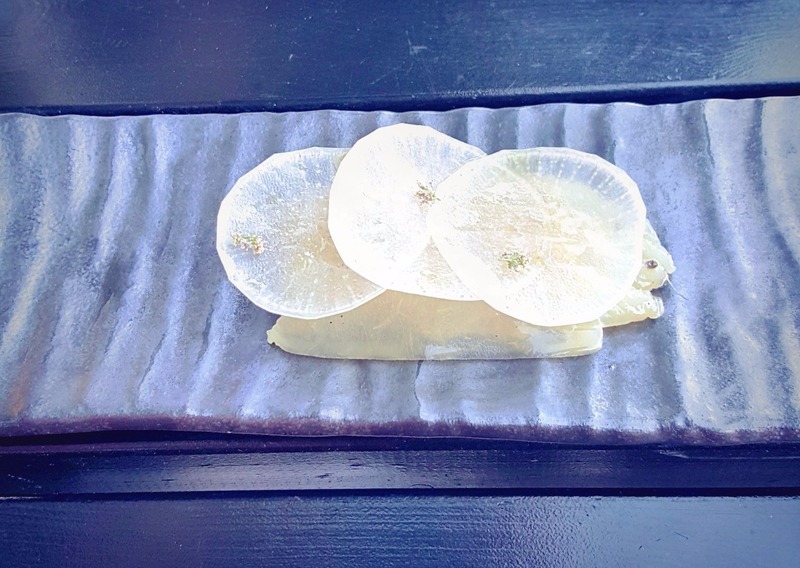 Or perhaps (and this is what I believe to be most likely the case), it was some magical combination of all of the above that made the meal such a standout but suffice it to say, Kul ranks among the ‘musts’ for any foodie visiting Copenhagen. 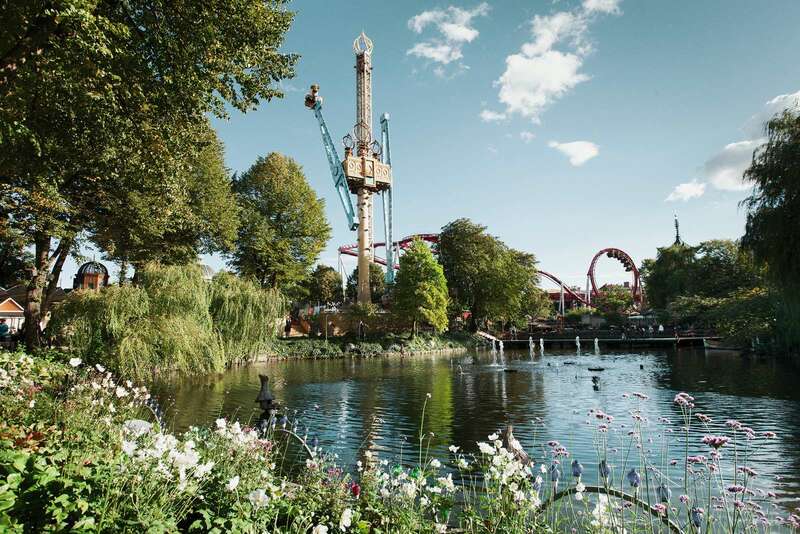 Sated by a memorable lunch, I spent the balance of the afternoon meandering around Tivoli Gardens, the famed amusement park that lies at the heartbeat of Copenhagen. I admit, that I was initially a trifle uncertain that an amusement park would make for a worthwhile visit in spite of all the advice I had received to the contrary. But, then again, this is no ordinary amusement park. Since opening in 1843, the park has attracted fans from all over the world, among them Hans Christian Anderson and Walt Disney. Yes, there are rides and carousels and typical amusement park fare but there are also gorgeous gardens, rolling lawns made for picturesque picnicking, restaurants of all varieties and, of course, the Nimb Hotel, arguably home to Copenhagen’s most desirable luxury accommodations. When the time came for me to leave, I found myself wishing I had allotted more time to spend at Tivoli (something I will most certainly do on my next trip). Tivoli Lake at Tivoli Gardens. The final stop on my whirlwind tour of Copenhagen was a visit to Chef Bo Bech’s, Geist, one of those sparkling restaurants along Nyhavn that I referenced earlier. A cluster of soigné rooms with contemporary furnishings that would seem equally at home in London, Paris, New York or Los Angeles provide the backdrop for Chef Bech’s eccentric menu of mouthwatering small plates. Think Salted and Dried Breast of Young Duck with Cherries, Lobster with Strawberries and Beach Roses, Zucchini Flowers Stuffed with Cod and Spring Onions with Sorrel and Jalapenos and you’ll start to formulate a picture and profile of the Geist experience. I said from the start that I had made it my goal to explore Danish cuisine on this trip and Geist sent me out on a high note to be sure. After dinner I decided to spend my final evening hours strolling the streets of Copenhagen. I toddled along the quays of Nyhavn a bit, took a final turn past Tivoli Gardens, which was by then lit up like something out of a fairytale, and then meandered back to my hotel. Back inside the lobby of my hotel, I let out a little sight as I couldn’t help but think a new love affair between myself and Scandinavia was indeed budding. 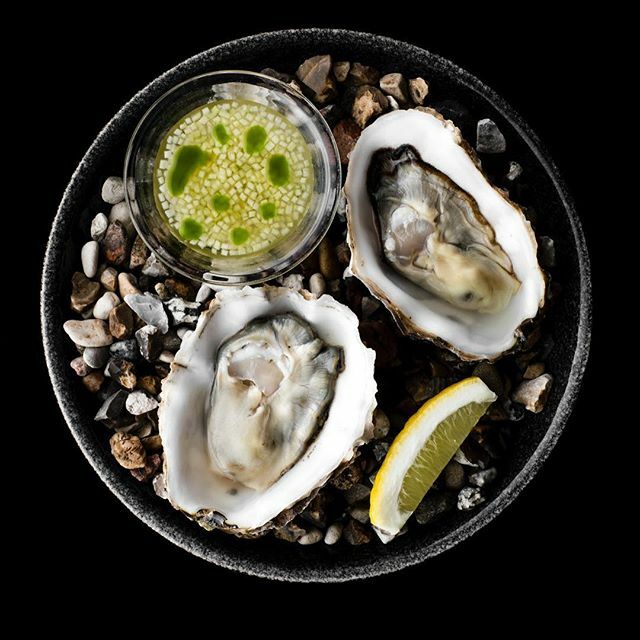 Chef Bo Bech’s Geist, Copenhagen.